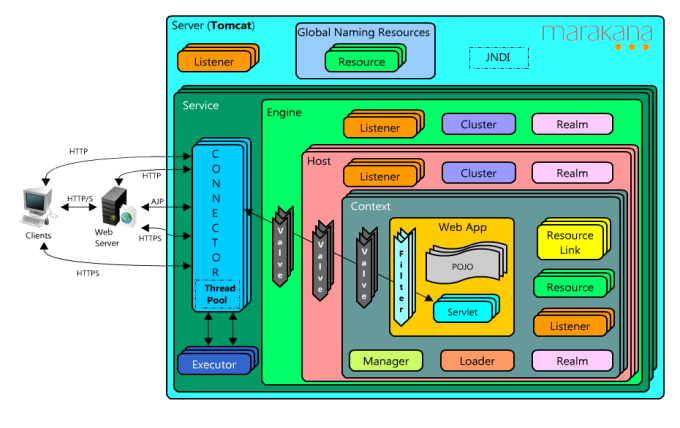 "Valve" is Tomcat specific notion, and they get applied at a higher level than anything in a specific webapp. Also, they work only in Tomcat. However, consider also the division between your application and the application server. Think whether the feature you're planning is part of your application, or is it rather a generic feature of the application server, which could have uses in other applications as well. This would be the correct criteria to decide between Valve and Filter. Order for filter: The order in which they are defined matters. The container will execute the filters in the order in which they are defined.